+ What sort of company are you and where are you located? We are a large company located in Vanderbijlpark in the Vaal Triangle. We also offer our private clients a reliable and and cost effective external catering service in the Vaal Triangle. 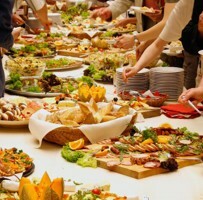 + What type of catering service do you offer? We are not a fast food or take away service. We do require notice.